I love experimenting with new color palettes and I’ve found my own photos have been a great source of inspiration. 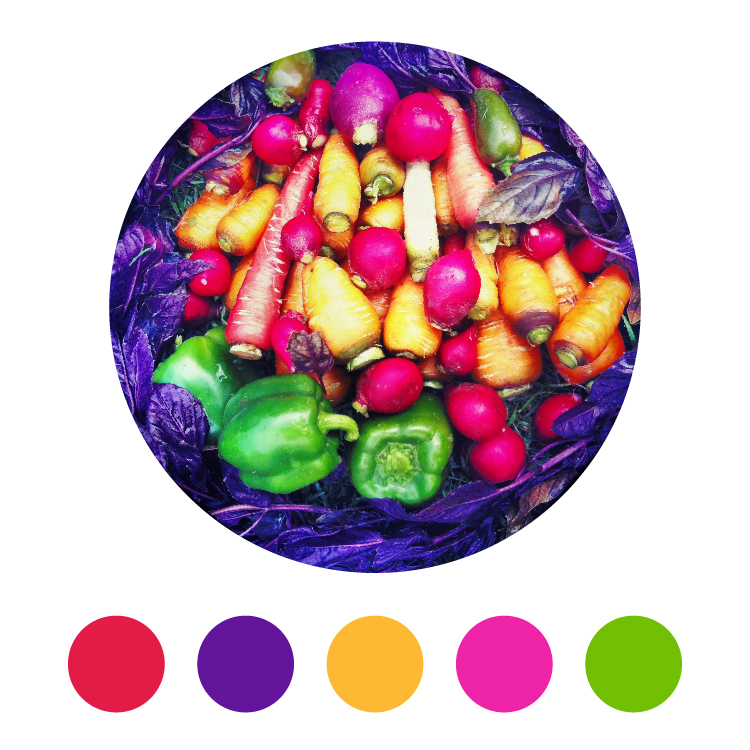 Here’s a color theme I made from a photo taken a few years ago of some fresh produce. I’m a huge fan of the purple basil.